Check out this awesome bar built by Paul Wagner and his Cold Creek Construction team of professionals. Their work continues to amaze me as I'm sure it does for the clients. This bar is dressed to the nines, I mean fully-loaded with all the amenities and ready to be a crowd pleaser the next time you host a party or have friends up to your cabin. The beautiful design of the cabinetry and the tile countertops are are huge hit. Let's not mention the pair of elegant mood lights hanging directly above the bar itself. Paul Wagner has been in new home construction and cabin building for over twenty-five years and continues to exemplify the standard of success that should be associated with such an accredited builder. Paul's number one goal is to make sure you are 100% happy with the overall product. You will be absolutely stunned from beginning to end with the professionalism and efficiency of his team. They are consummate professionals in every sense of the word. Choose Cold Creek Construction for cabin construction, lake home remodel, and cabin decks and patios. Paul is available to travel statewide and brings his team with to make sure the project is completed in a timely, and professional manner. Like I Mentioned earlier, you will be stunned with the speed and quality of his homebuilding. 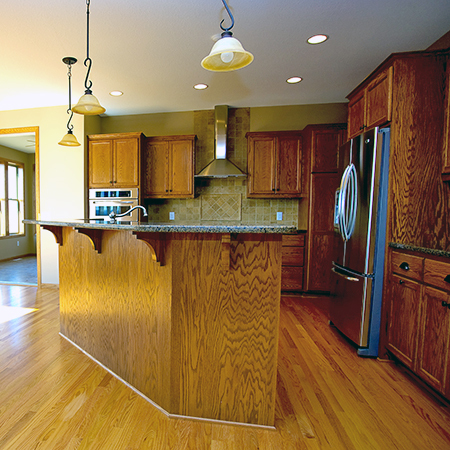 Something that is a rarity among builders especially when it comes to finding a reliable builder in the Minnesota north woods.